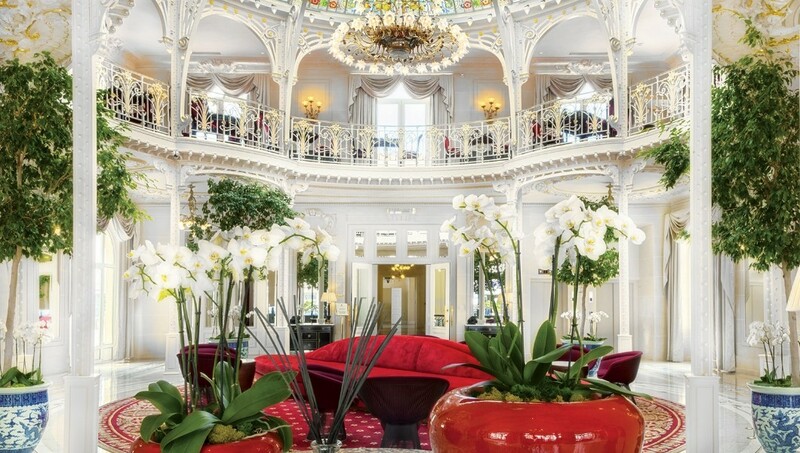 There’s never a bad time to visit Monte-Carlo and there’s certainly never a better time to treat yourself with an indulgent spa experience at Hotel Hermitage Monte-Carlo. The Mediterranean hotel is offering a deluxe wellness break until March 31, with a programme that has a simple, tangible goal: ‘new wave’ fitness that naturally replenishes minerals and trace elements whilst providing deep relaxation. The four-night experience includes accommodation in a double room, breakfasts, four lunches at the Thermes Marins Monte-Carlo’s restaurant, L’Hirondelle and over 90 minutes of treatments and tests per day. Options include massages, marine treatments, face treatments, cryotherapy and more, with a primary care physician available for maximum results and improved energy levels. The experience also includes a medical examination and bioimpedance analysis to measure body composition, nutritional and micronutritional analysis and free admission to group fitness classes and to the Wellness Center: heated sea-water pool, Turkish baths, banya, sauna, solarium with Jacuzzi, a cardio-training center and a gym with a panoramic sea view – all from AED 1,064 per night (approx. AED 4,450). There’s more to Spain than sun and sangria and SHA Wellness Clinic has been at the cutting edge of pioneering health and wellbeing treatments for a decade. The “SHA method” integrates the most effective natural therapies with highly therapeutic nutrition, without neglecting the latest advances in Western medicine, especially in preventive medicine, genetics and anti-aging. The coordinated and supervised fusion of these therapies significantly enhances the positive impact that these therapies would have on an individual basis. A range of health programmes are available, including seven- to 14-day detox retreats, weight loss packages, week-long healthy ageing treatments and an all-embracing 28-day “Life Reset” opportunity, which is designed to achieve a significant and substantial change from the physical, emotional, spiritual, mental and nutritional point of view, in order to return to an optimum state of health and general well-being. The stunning facility is open year-round with 6,000sqm of treatment facilities and breathtaking surrounds and views of the Med. Wellness-minded parents might be tempted to venture into the lush and tropical region of Kodagu, also known as Coorg. Cool down amid lush coffee plantations at the Taj Madikeri Resort & Spa and discover an authentic Coorg experience, trekking through dense rainforests and taste the unique flavours of the local cuisine. The whole family can also get creative together and participate in a pottery class in the hotel’s own 2,500 square feet pottery studio. Located just three hours away from Dubai, Azerjbaijan’s foremost wellness facility invites guests to retrain their palate, acquire a new outlook on health and wellness and elevate their mindset on a life-altering and detoxifying journey. A visit to Chenot Palace Gabala is the perfect way to kick-start the year and eliminate any sins from the holiday season, with several programmes on offer all providing different health benefits – top picks include the three-day active detox to a 14-day metabolic optimisation programme for weight loss, all created by Henri Chenot. Award-winning luxury private pool villa resort, Al Baleed Resort Salalah by Anantara has a wellness programme featuring a unique ‘a la carte’ concept. ‘Balance Wellness by Anantara’ is designed to offer a transformative travel experience in the heart of one of Oman’s most stunning destinations. Balance Wellness is a three-tiered programme tailored to your needs, allowing you to remain as active as you wish on holiday in Oman, or unwind in spa bliss. With another year nearly behind us, start 2019 by putting the right foot forward and indulging in a trip to Samujana, Koh Samui’s one stop shop for luxury, personalised service, spa and wellbeing. Conceived as an extension of the surrounding landscape, the private collection of 24 villas is set up to offer peace of mind to both the body and the brain. With each villa offering a health and wellbeing aspect, expect to find yoga mats in the living room, nutritious snacks in the mini-bar, meditation apps on the in-room mobile plus a detox menu, which can be prepared in the comfort of your personal villa by a private chef. To compliment the ever-present sense of wellbeing, each individual villa has an open and spacious living area, vast terraces and stunning infinity swimming pools with 360-degree views of the surrounding areas. Those looking to improve their overall state of wellbeing whilst on holiday can create their own programme at Samujana with the help of their private Villa Manager. With a range of bespoke spa and fitness services, tailored treatments and sessions can be offered in the comfort and privacy of your villa. From facials to massages and everything in between, Samujana know the numbers to call to suit every need, ensuring no guest ever leaves a treatment disappointed. Want to shift some festive fat? Personal training sessions are offered in all villas, with specific spaces having their own fully equipped gyms, complete with boxing bags and techno gym products. You can also try their hand at Thai kickboxing, or Muay Thai – the national sport of Thailand. Yoga classes can also be built into your daily routine. With the help of one of Samujana’s expert teachers, you’ll be able to work on your sun salutations at sunset all whilst alleviating health problems, reducing stress and keeping the spine supple. There are plenty of chances to be healthy on the food front, where the team believe in variety. With the in-villa dining menu, you can choose from an assortment of options, creating a restaurant set-up within your home away from home. Those looking for a more tailored experience can opt to book a private chef, where patrons can enjoy the culinary expertise of a master to create delicious dishes in front of their eyes. Cooking classes are also available on request, tailored to all ages and all levels of expertise, helping you create authentic world-class Thai food in the comfort of your own villa. The package includes the following for five days at Samujana; daily yoga, a Thai massage, daily nutritional breakfast, lunch and dinner plus juices, all for $750 including tax and service but excluding room rates. An escape to North Island, Seychelles, one of the world’s most exclusive islands, is the perfect way to make your physical, mental, and spiritual health a top priority in 2019. With the pristine, organic environment setting the tone for a holistic holiday for the conscious traveller, at North Island peace and tranquillity pervades. With no time pressures or constraints guests can do whatever they want, whenever they want. Or simply do nothing at all. Relax on the powdery private white beaches, hike to the peak of Spa Hill, take to the seas with an array of diving, snorkelling and kayaking experiences, or hop onto a bike to discover the island on two wheels – all at your own pace. Salute the sun with morning yoga, and then bid it farewell with a freshly squeezed thirst-quencher at sunset. Round off each day with a blissful spa treatment that will completely unwind you from head to toe, both inside and out. Guaranteed to put a spring in your step, a spa journey at North Island will help you to tackle the New Year with a renewed sense of joie de vivre. Rates for the Presidential Villas start at €6,127 per night and €9,644 per night for Villa North Island excluding tax. Costa Rica boasts a fantastic year-round climate, lush landscape, secluded beaches, and relaxed ‘pura vida’ lifestyle. It’s the ultimate introduction to Central America and a haven for adventure and eco-travel. 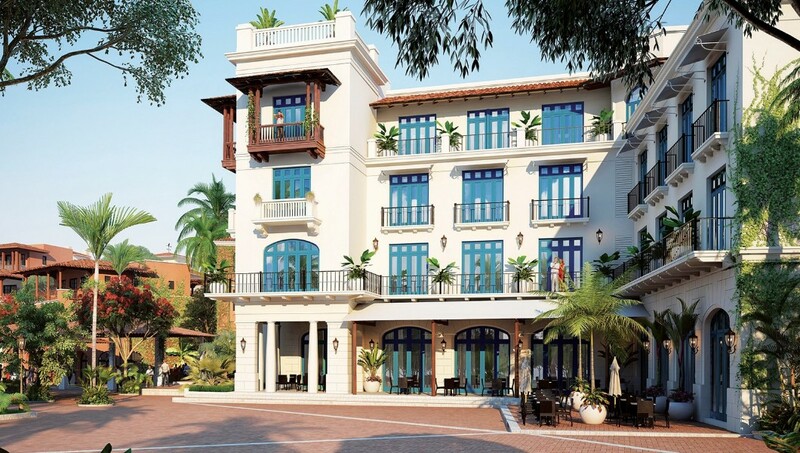 The country’s hottest new hotel, Santarena Hotel, is a bohemian gem located in the town of Las Catalinas, set to open its doors next month. As a car-free destination, Las Catalinas is the organic heartland of natural diversity and wellness with a rugged coastline to one side and tropical dry forest to the other. Santarena Hotel will offer 45 guestrooms including three suites, a rooftop lounge and swimming pool, and elevated local cuisine focused on sustainability and farm-to-fork dishes. There is also a wealth of wellness and adventure activities on offer such as hiking, mountain biking, kayaking, and scuba diving.